Made with electrostatically charged synthetic material that draws and captures allergens between 0.3 - 1.0 microns, including lint, dust mites, mold spores, pollen, pet dander, fine dust, smoke, viruses, and bacteria. 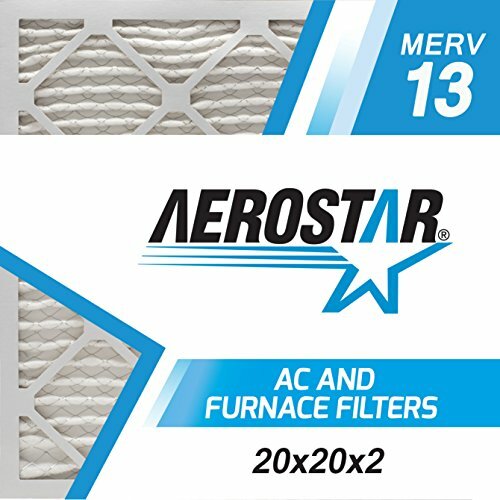 Box of twelve Aerostar MERV 13 Pleated Furnace Air Filters. MERV 13 filters are comparable to MPR 1500 to 1900 and FPR 10 . Change frequency 60-90 days, Made in the USA.